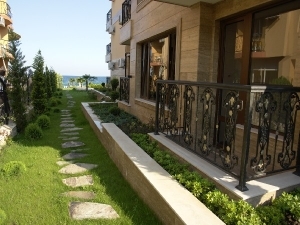 Large apartments in Sozopol - Property in Bourgas, house in Bourgas, agricultural land for sale in Bulgaria. 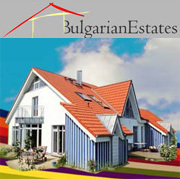 Cheap Bulgarian Property. Sozopol is situated in the central eastern part of Burgas region, at 35km of Burgas and at less than 90km from Turkey at international motorway E87. The proximity to Burgas - an administrative and economic center of Southeastern Bulgaria, an important and perspective transport center along the axis of the Black Sea - the Adriatic Sea, representing a part of the European transport network point of rich cultural and historical heritage in the zone of the coastal territory of the Municipality of Sozopol. In fact its location on the picturesque peninsula and its urban structure built up as a result of centuries - old stratification and inheritance with remarkable succession accompanying its development makes it a unique museum of global scale disclosing the development of the most outstanding human civilizations. The climate is Mediterranean, which is felt within depth of 20 to 40km from the coastal line. The sunshine is a very important element of the natural potential of the region. Its actual duration is 2100 to 2200 hours per year. Its maximal extent is in July and August, and as early as in May two thirds of the hours between 9-10 and 14-15 hours are sunny. wild cactuses in the Republic of Bulgaria. “Apolonia” used to protect the area. Today the annual holidays of arts conducted in the town at the beginning of September bear the name of Apolonia. The luxury villa - Casablanca is situated right on the beach in a quiet and peaceful area in the central VIP zone. 200m from the reserve Sand Lily. The reserve is characterized by the biggest deposit in Bulgaria of sand lilies. This plant arouses well-grounded interest in tourists and countryside fans, if is tender with intensely smelling sweet blossoms. It is also known amongst the local population under the name of “sandy cream” and “sandy fairy”. Due to the nature of their habitats and their rare beauty, some people call Sand Lily the “Queen of Sands” or simply “the flower of the dunes”. Sand Lilies blossom in July and August, its blossoms are scarce, delicate and provoke justified admiration. All apartments come with the furniture package - Ready for life! 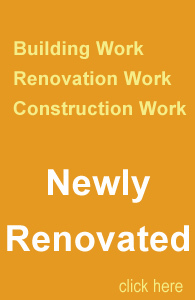 In case of paying reservation fee during construction you get 10% Discount. In case of 100% payment you get 3% Discount (only plan 2). The payment method is negotiable for further information please contact our agents.